Win 2 VIP Tickets to Taste of London Festival 2013, plus one night’s accommodation in London with breakfast and travel. The dish also MUST be made with oatmeal and not rolled oats. This can be coarse, medium or fine but it has to be oatmeal as per the rules of the Golden Spurtle competition. The dish needs to be easily prepared in under 30 mins alongside the traditional Porridge that The Porridge Lady will be preparing. All the ingredients in the recipe mustn’t be too difficult to source. The 19th annual World Porridge Making Championships take place on Saturday 6th October 2012. 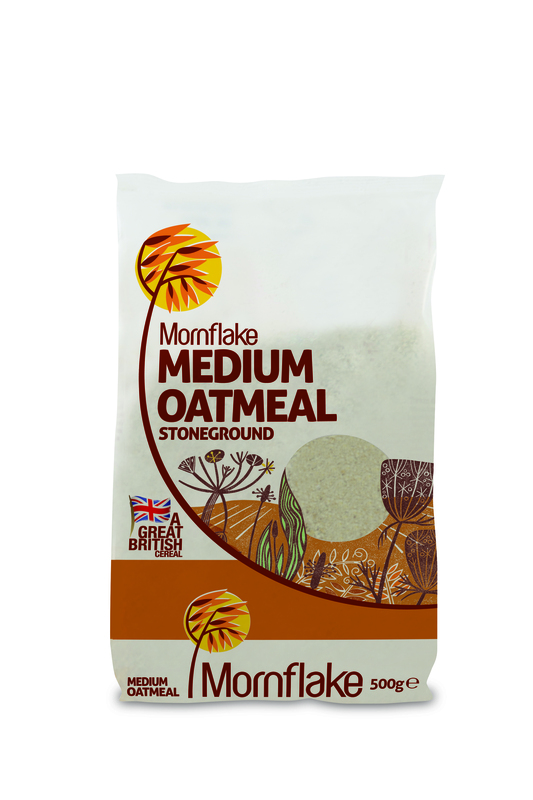 As Britain’s longest established miller of oats, Mornflake are inviting everyone to suggest recipe ideas to be entered into the competition. They will select their favourite dish together with Anna Louise Batchelor, aka The Porridge Lady. The chosen recipe will then be cooked by The Porridge Lady for the 2012 Championships under the Speciality Selection category. Two VIP tickets to Taste of London Festival 2013 between 20th-23rd June 2013. One nights accommodation in a central London hotel for two people including breakfast. Your recipe being entered into the Championships by The Porridge Lady. A Mornflake hamper of goodies. RUNNERS UP: A Mornflake hamper of goodies will also be awarded to two runners up. 18.9.2012 – I am very sad to report that the winner of these chocolates has been in touch to say she hasn’t received them. In my efforts to look into this I have found that there is some doubt regarding the authenticity of Genevie and her chocolates. The photo of her below, for example, is an istock photo and not of her at all, if indeed ‘she’ even exists. I have recently had the pleasure of sampling some of the chocolates lovingly handmade by Genevie. My personal favourite of this little selection was the bottom middle one which had a marzipan centre; it was gorgeous *salivates at the memory*. “Welcome to my chocolate gift shop where I hope you’ll find the perfect gift made with love by chocolatier Genevie. My Chocolate is only available from the online shop and you will not find any of the chocs in shops or on other sites. All of the chocolate boxes are delivered free post to the UK mainland. I have a gorgeous, red, heart shaped box of 32 handmade chocolates to give away to one lucky winner! And comment below to let me know that you’ve done so. I have been offered a giftset of The Chronicles of Narnia (rrp £90.93), containing seven hard backed books in a cloth backed slipcase, to give away! As well as being wonderful to read, the books would make a fabulous gift and be an attractive asset to any book shelf. To enter, please tweet “I’ve entered to win The Chronicles of Narnia gift set on @CoffeeCurls blog” and comment below to let me know that you’ve done so. The winner will be chosen, at random, by my cat Maisy… yes really, I will write the name of each entrant on a piece of paper, screw it up into a ball and then throw all the balls to Maisy – the one she bats back to me will win! I am sure that the lovely and oh so fair @SparkandFuse will let me know if this is an allowable system or not and if it isn’t then I will be guided by them as to the correct way to randomly select my winner! Closing date: 8pm on Friday 29th of June 2012. UK entries only, sorry. What’s Your Story – #WIN £5000! Research released today by internet safety expert Trend Micro reveals that nearly a quarter of children aged 7-16 years think that the World Wide Web was invented by the late Steve Jobs or co-creator of Facebook Mark Zuckerburg. While one in ten, and a quarter of those aged seven, believe music mogul Simon Cowell is responsible for the backbone of the internet – with a further one in ten seven year olds attributing the innovation to Alexander Graham Bell and Albert Einstein. The findings, launched as part of the company’s What’s your Story? project might be viewed as good fun, further findings reveal a more concerning side to internet usage by youngsters. Although they’re deemed old enough to use the internet, over three-quarters of children admit to accidentally clicking links which led them to adult websites, downloading viruses to their computers and visiting a website they were unsure of ‘because it sounded like fun’. A further one in five confess to being embarrassed by a picture someone else has posted of them online and downloading ‘free’ music from the internet. One in ten also report being upset by something they’ve seen online, admit to being friends with people on Facebook who they don’t know in real life – and of more concern, admit to bullying others online. So who does know the most when it comes to using the internet? For those aged 7-13 one in ten believe its them, while over a quarter of 14-16 year olds believe they know more than everyone else in the family. Dad definitely rules the roost overall with a third of children revealing he knows his stuff when it comes to the internet, followed by older siblings and Mum. And the story isn’t that different when it comes to sharing internet safety, nearly a third say it’s Mum or Dad who’s had ‘the talk’ with them, followed by one in five who get their advice from teachers or grandparents. So when it comes to Facebook, who is it children really want to befriend? Justin Bieber tops the chart with nearly one in five (18%) young fans, followed by over one in ten (14%) of One Direction-ers, with Amy Childs and Cheryl Cole fighting it out for third place in the hearts of the UK’s children (8% and 9% respectively).